Do you remember the fabric bread baskets from way back when? Weren't they awfully cute? Especially the way you tied the corners or could put them away flat. I recently saw one online with what I thought would be a free tutorial, but it turned out to be one where you had to "pay" to have the instructions downloaded. Oh no! There are too many free sites available or you could just improvise and make your own, like I did. All of the tutorials I found required some sewing like here and here, but there are a lot of crafters who don't like to sew or can't sew, so I came up with my own version using Aileen's Tacky Glue. I chose this glue because I've used it before with fabric ( I glued fabric to bench legs for an upholstered look) and it dries clear, and also, it's what I had on hand, lol! To prevent the burlap from raveling, I painted mod podge on first. While that dried I drew a 16"x16" square on poster board for my pattern. I divided the large square into 4" squares for a total of 16 squares. I used this pattern to cut out two burlap squares. To make the fabric boxes sturdier, yet easy to fold, one of the burlap squares is reinforced on the inside with lightweight cardboard. Using the poster board pattern as a guide, I cut out (1) - 8"x8" square (center) and (4) 3 1/2"x8" rectangles (sides) of lightweight cardboard. Place the cut out sections of cardboard on top of the burlap, lining them up so they are evenly inside the fold lines. Make sure that the cardboard sections have a small gap between them, making it easier to fold, and also, a 1/2" or less burlap border (to fold) around the entire edge. If you were sewing this, it would be called a seam allowance. Glue the cardboard sections to the inside of the burlap using fabric glue that will dry clear. After the cardboard dries, begin folding and gluing the edges down, one side at a time, making sure the folds are even. I placed a heavy board on the entire burlap square so the ends would not lift up while drying. Allow the folded edges to dry completely. After drying, I folded the sections up into the shape of the box just to make sure it would fold properly. Measuring 4 inches from the corners and beside the cardboard, I glued the twine ties down in the folded area. I used clips to hold them in place until completely dry. With the second burlap square, I started folding and gluing the edges down, one side at a time, to line up exactly with the first burlap square. I placed a large board on this, too, until it was completely dry. After drying, I laid it on top of the cardboard burlap piece, and folded it along the same folds. Then I spread fabric glue (first burlap piece) along the edges (border) and on all of the pieces of cardboard (used an old credit card to do this). *But not on the burlap in the four corners. Place the second burlap piece on top - lining up all the edges and pressing and smoothing together the two pieces. I used clips on the corners and sides and where the twine pieces extended making sure all areas were sealed together. *I also put heavy books on top where there was space just to make sure the burlap was flat and together while drying. *Make sure you allow this to dry completely. Bring the corners together at the twine and tie to form your basket! This fabric basket was easy to make, and looks adorable! The drying time made it a rather lengthy project, but well worth it! You can use it in so many ways. The outside sides can be decorated if you like. Stenciling, beads, appliques or flowers. This no sew fabric basket makes for a fun item when filled with treats, flowers or even supplies for a favorite hobby like crafting! You could do a little bit of this . . . or a little bit of that . . . the options are endless! Hi Gail, I loved your basket and the detail of yellow flower.Thanks so much for sharing the great tutorial! Very cute! I just found some burlap at Joanne's yesterday that is stencil with what look like black typewriter keys. I had no idea what I would do with it, but I bought it anyway because I love anything with the alphabet. I think your little breadbasket is a great idea for it. Totally love the bright yellow petals you added to the flower in front. So pretty! Absolutely gorgeous, Gail! Love your photos, too. This is really happy, cheery and Spring! I love this. 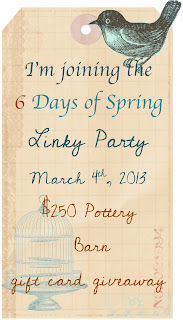 Thank you for sharing it at the party at http://www.finecraftguild.com Now we can ALL make it. Fun! I love this project Gail! No-sew is right up my alley! Thanks for the FREE tutorial too! Nice job on both! 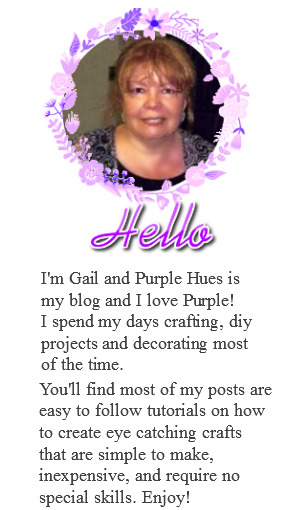 Wow, amazing job Gail, and really helpful tutorial! Wonderful to "meet" you on Craft Schooling Sunday and hope to see you again soon! Thanks for a cute no-sew project. This would be perfect for rustic decor. I love this, and have plenty of burlap in my inventory! The basket would look nice with my burlap bunny napkin rings for Easter. Nice job! This is brilliant Gail!! I love that it's no sew, and can be easily embellished for a custom look for any decor. Amazing!! I love this Gail! Since I don't sew it's perfect for me lol! Thanks for sharing at the party this week! Love this burlap basket and what a great tutorial...Thank you so much for sharing at One More Time... ok I so have to make one of these so Cute! You are a smartie!!!! First of all, I never thought of painting burlap with mod podge... brilliant! And I love this little basket! What an easy project. I'll be making this for Easter, for sure!!! Thanks for sharing it on TUTORIALS TIPS AND TIDBITS! I love this diy! Great tutorial with easy to follow along steps! Thanks so much for sharing your creativity at Project Inspired! Oh wow Gail, this is so neat. Now I have a use for all that extra burlap I have. Thanks so much for sharing this. Who couldn't use one of these burlap boxes? I love that you add a splash of color, but that it is still mainly neutral. 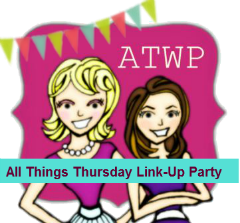 We are starting a link up party on Thursdays (today:), and we would love for you to join us with this post and/or any others you would like to include. We are at allthingswithpurpose.com. Hope to see you there!! Very cute! Great tutorial and I love the burlap flowers! This is so cute. I love the basket idea and laying flat for storage is even better. I will definitely be adding this to my DIY list. 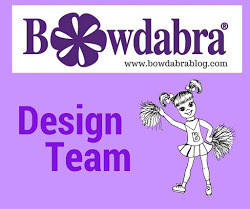 Newest follower here, I found your blog through the blog hop! You have a wonderful blog, I can't wait to read more. Love this idea - so easy!! Thanks for linking up at Romance on a dime! I'm featuring this today. Such a clever idea! Your tutorial is so easy to follow. 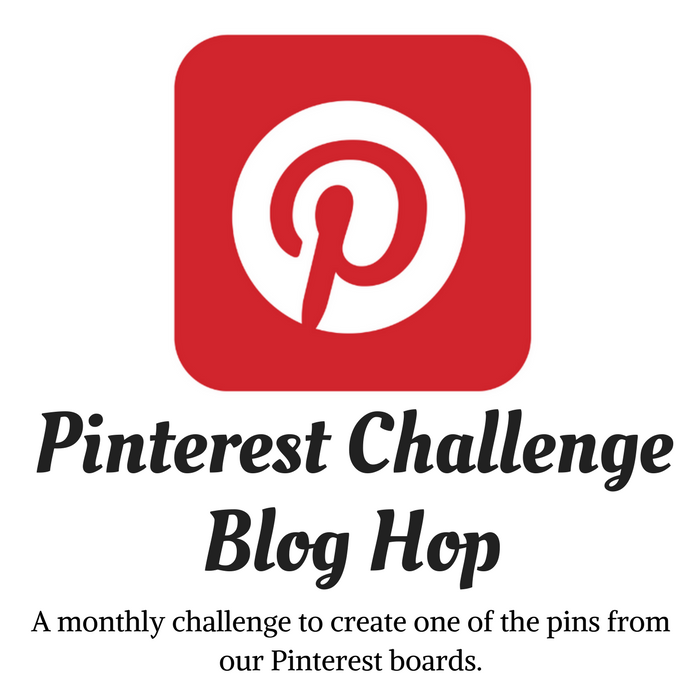 Thanks for linking up with the Craft Challenge Creative Link Party. what a great idea and pretty easy to make! appreciate the step by tute as now i could make my own :) Thanks for sharing with the creative craft challenge! awesome share!